Donetsk, Dnipropetrovsk, Kharkiv, Kiev, Kryvyi Rih , Lviv, Luhansk, Makiivka, Mariupol, Mykolaiv, Odessa, Sevastopol, Simferopol, Vinnytsia, Zaporizhia. 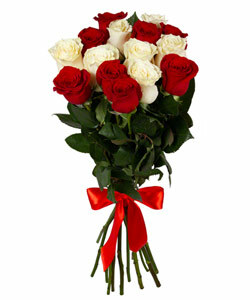 Megaflowers delivers flowers in all 24 oblasts of Ukraine. This country is famous for its boundless steppes, emerald forests and a variety of local flowers which are almost as beatiful as Ukrainian women are said to be. Megaflowers team appreciates the country’s biodiversity resources and its relation to our cause. We are proud to inform you that we handle flowers delivery to Ukraine on a regular basis, and because it’s so close to Russia, our delivery reaches any location in Ukraine, such as Odessa, Simferopol, Zaporizhia or Donetsk in less than 2 days, most of our products can reach your woman’s doorstep within the same day. Our collection is comprised of wide varieties of beautifully colored, redolent flowers that make great companions in sadness and joy, even if for a few days or weeks. We have flowers for each and every event. Even if there is no special event, giving a beautiful bouquet can create one. A special woman being surprised with a lovely bouquet when she least expects it, now that’s an event! At Megaflowers, we treat Ukraine and Russia equally. We deliver to Kiev just like we deliver to Moscow. If you want to send flowers to Ukraine , you can benefit from our reduced shipping costs to countries that are historically connected to Russia. Since there is a free trade agreement between the Russian government and Ukraine, we deliver quicker than any of our competitors and often at a lower cost. Besides that, since we grow our own flowers, you are assured of your arrangement coming from the fresh supply. Is it important? We think so - because women are so sensitive when it comes to flowers and usually can tell right away the quality of a flower and how it has been grown. The special woman from Ukraine misses you dearly and is anxious for you to show appreciation and love. If you feel like doing just that, but it seems a bit too complicated, please talk to our online consultants. Finding out the basics of flower sending will take you but five minutes. Every step is straightforward, and Megaflowers tries to make your experience pleasant from the moment you visit our website to when our Photo Delivery Report is sent to you. We have years of experience of bringing together customers like you and Ukrainian recipients, so allow us to make a special gift to your loved one. 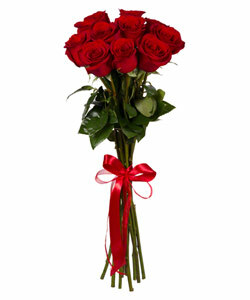 Allow us to fill her day with bright colors of an exceptional flower arrangement making her think about you for days. Women in Ukraine rarely have an opportunity to be the recipients of a gorgeous flower bouquet. Let your woman be the one.